How Do I Select The Right Translator? Megan Robinson is from the San Francisco Bay Area in California. Prior to joining CSOFT as a Project Manager, she worked in market research for the Entertainment Industry where she used her appreciation of cultural differences and translation to decode the behaviors of global markets. 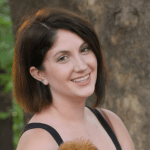 Megan studied Anthropology at UCLA and currently serves as CSOFT's Public Relations Manager. Technical translators know how to utilize the most recent technology to ensure the most accurate translations. They have a solid understanding of translation memory (TM) and of content management tools which are used to store company-specific technology. They also understand how to use Computer- Aided Translation technology (CAT tools) to improve the accuracy of a translation. A technical translator must have a cross-cultural or multifaceted background which will allow them to understand the culture of the source and target. They must have a strong understanding of each culture in order to truly convey the meaning. Technical translators are people who are both cultural and subject matter experts (SME). They can understand a complex concept and express it in a creative way so that it can be received by your intended audience. Linguists will often spend a vast amount of time researching a new word to ensure that they fully understand its meaning before selecting a word for translation. By taking the time to thoroughly understand the subject matter, they ensure accuracy in translation and are able to effectively bridge the gap between two groups of people. Technical translation is not limited to specific industries, but is necessary throughout multiple industries including but not limited to: life sciences, engineering, technology, and manufacturing. However, the linguist you use for life sciences is likely not the same linguist you would want to use for your manufacturing documents. Overall, a technical translator knows how to convey technical information but in a creative and clear way. They need to understand how to both value the specific terminology required by an industry or a particular client and also need to understand how to use that terminology in language that is appropriate for the intended audience. Is your technical document intended to be used by industry experts, or is it just a user manual for the average individual? A technical translator knows how to write to your audience so that they can best absorb and fully comprehend the information. Working alongside a language service provider (LSP) is a great way to ensure that your translator is a qualified linguist. 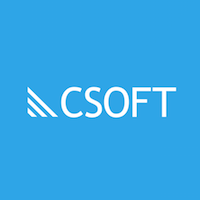 Learn more about CSOFTs team of technical translators, technical writers, and SMEs.